Because of the research I do, into not only where foods come from but also how they were utilized, I go through a fair number of old cookbooks. Surprisingly, at least once we hit the 1800s in the United States, a lot of the recipes—most of them in fact—look pretty appetizing. By the mid-1800s in the U.S., booming agriculture and increasing transportation options were making a lot of previously rare ingredients available, and home cooks were taking advantage of the variety and abundance. 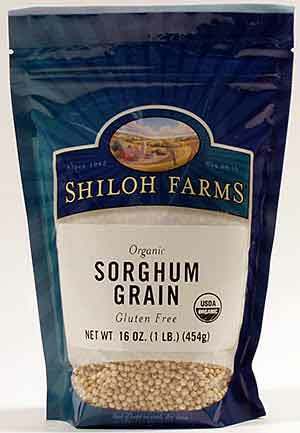 A recipe for sorghum cake caught my eye when I was combining research with trying to find something to take to a party. I modified the icing from the original, to make it a bit more interesting, but the cake was outstanding without modification. This not too sweet dessert received rave reviews from those to whom I served it. 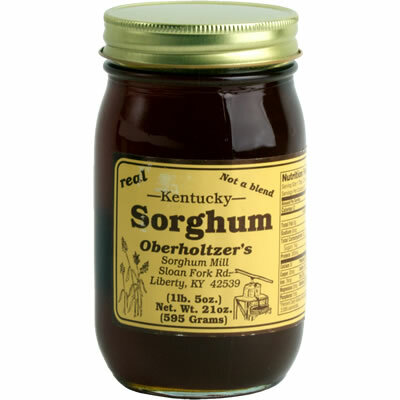 If you don’t have a nearby store that sells sorghum syrup, it’s readily available on the Internet. If you really can’t locate sorghum, unsulphured molasses could be substituted—but do try to find sorghum, if just to discover what this one-time staple is like. Beat the shortening and granulated sugar together until light and fluffy. Beat in the eggs one at a time. Then beat in the sorghum syrup and applesauce. In a separate bowl, combine the flour, baking soda, salt, cinnamon, nutmeg, and cloves. Then stir into the batter. The batter can then be poured into greased and floured cake pans. The original recipe called for three, eight-inch round pans, to make layers. For the crowd I was serving, I choose a 13” x 9” sheet cake pan. For layers, bake for twenty minutes, or until done. For a sheet cake, bake for 10 minutes longer, and then test for doneness. Cool before icing. The original recipe stopped with those ingredients. I put a tablespoon of rum in the empty sorghum tin and swirled it around, to get the last little bit of syrup, and used that along with the cream to thin the icing. I also added a few grating of fresh nutmeg. Made a mighty tasty icing. To make the icing, beat the butter until light and then gradually beat in the powdered sugar. This will be about the consistency of modeling clay. Add the liquid (milk, cream, or, like I did, cream plus rummy sorghum syrup remnants) until it becomes the consistency of spreadable icing. If you’re doing layers, you’ll have plenty for the entire cake. If you’re doing a sheet cake, you may have a little extra icing—but that’s never a bad thing.